Steak Nights Dinner Buffet at Corniche! End your Thursday nights with a sumptuous dinner buffet and a limitless fill of Steaks (Yes—STEAKS!) at Diamond Hotel’s newest restaurant: CORNICHE. Corniche, a French word of ‘a road on the side of a cliff or ledge’, is the newest restaurant of Diamond Hotel. Located in Diamond Hotel’s lobby, Corniche can accommodate up to 210 persons in their 650 square meters of dining area. The modern interior of Corniche, especially the focal point in the central area, “The Migrating Birds” is quite stunning. Add to the breathtaking view are the monumental designs of the floor-to-ceiling glass partitions and the light play. It’s not as grand as anything you’ll see in Vegas Hotels but Corniche emits a certain charm that makes you feel at ease and wonderful. Now, to the Steak, steak, steak night! with a light salad. I started mine with Fresh greens coupled with slices of tuna and salmon in lemon vinaigrette dressing. Now, for the steaks! Corniche offers a variety of steaks like the US Striploin Steak, US Rib Eye Steak, US Hanger Steak, Beef Tenderloin Steak and Roasted Prime Rib. I went for the US Rib Eye and Beef Tenderloin Steak. I asked for my steaks to be medium rare but my Rib Eye turned out medium well done. The Chef probably mixed up our orders for there were 4 of us waiting in front of him. I also ordered a slice of pork tenderloin cut from this humongous chunk in the buffet table. Up next is an assortment of food: pizza, baked potato, cheeses, chicken—which are really, mouth-wateringly appetizing. My favorite entrée is the Chicken in Truffle Cream Sauce (2nd from 2nd row). By far the best chicken in cream sauce I’ve had. My cheese platter included Bleu Cheese, Sage Derby Cheese and a Dried Fig. Salmon Pizza with capers and Baked Potato. The salmon is evenly spread out in the pizza. One of the best things in Corniche is their Pasta. They have a unique range of pastas and is cooked upon order. They also serve jumbo stuffed pasta shells. For desserts, Corniche offers a wide array of Filipino and International Desserts. Some are fusion desserts like this jelly dessert with Kiat-Kiat and Grass Jelly topped with a berry. Other desserts include a chocolate fountain, a series of cakes and dessert cups. My top 2 favorites are the Walnut Tart and the Mille-Feuille, a layered puff pastry with pastry cream in between layers. To end my Steak Night Buffet, I ordered a Chamomile Tea and to my amazement, it’s served in this modern chic teapot, shaped like a curved diamond. Corniche’s elegant interiors and mouthwatering dishes is truly something to behold. They may not have as many dishes as Spirals but rest assured that everything they serve is good quality food. The unlimited steak plus the company of food bloggers, I can say that my first restaurant invite is nothing less than the best. Truly, Corniche at Diamond Hotel is Where Life Meets Food. Limitless offer of Steaks and an all-night free flowing robust red win! Includes a selection of tapas and pica-pica. 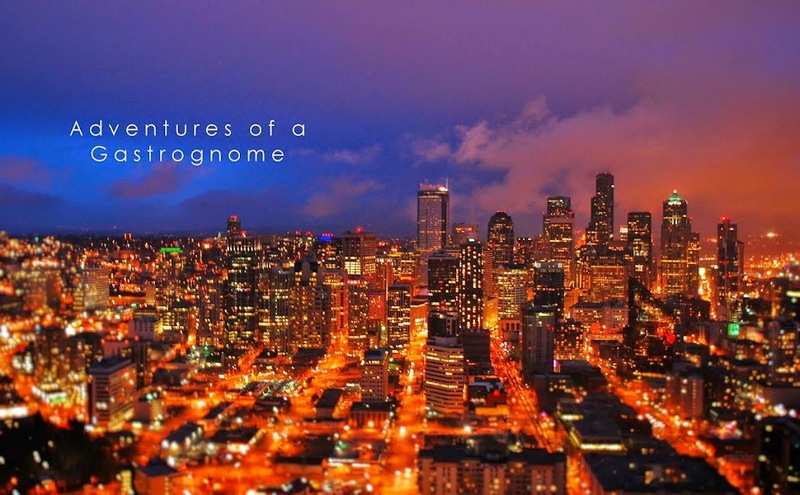 Subscribe to Adventures of a Gastrognome by Email. Click here.